Miami is where everyone goes to play in Florida. Famous for cruises, south beach, Cubans, beautiful people, and parties. This where you go for fun in the sun. 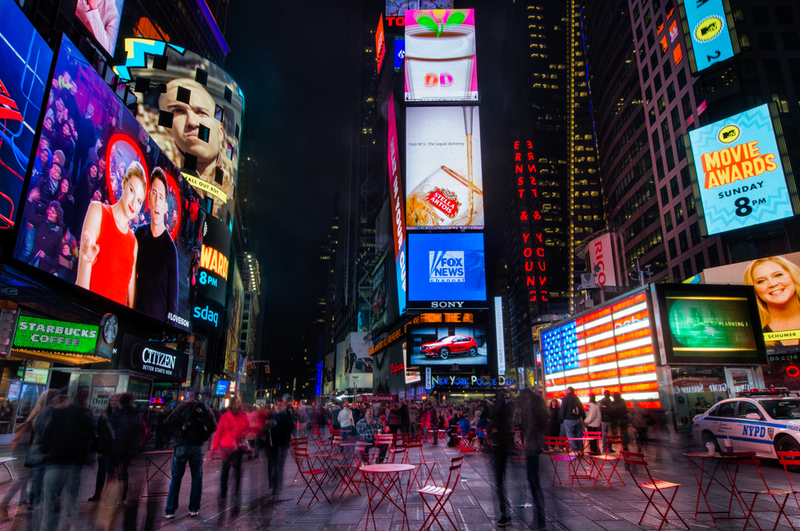 It’s not one of the cheapest American cities but it is definitely one of the most fun. Come here: relax on South Beach; eat amazing food, watch the Miami Heat play basketball, and party in the clubs. The city’s port is also the departure point for a lot of cruises. This is the major hotspot in the city. 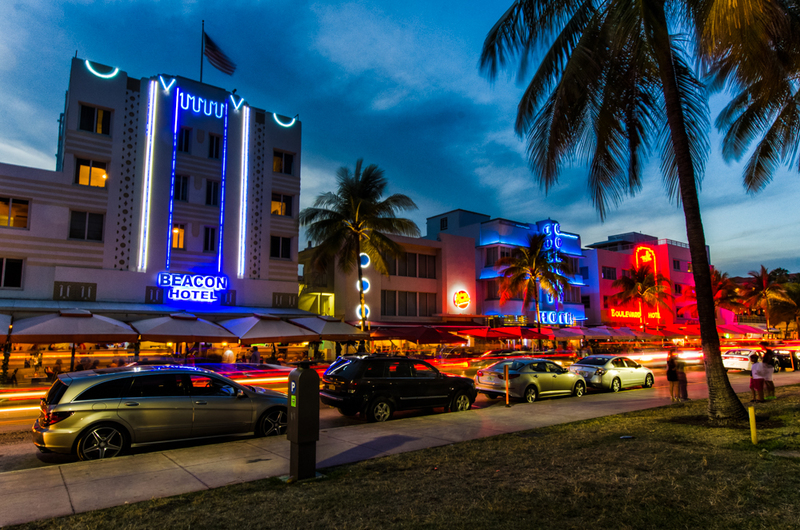 From shopping to partying, this area of Miami Beach is well known for being trendy and full of shops and bars. South Beach can be more expensive than other areas, but it’s worth checking out while you are there. 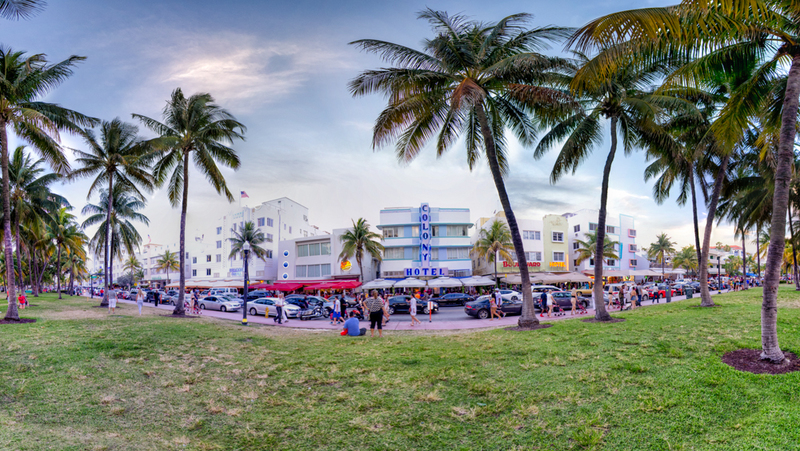 The Art Deco District of Miami Beach has become one of the city’s main attractions, and with good reason. The district boasts a good many buildings designed and built in the 1920s and 1930s, and even if you don’t think that style of architecture is cool, it is undeniably highly stylized and retro. The neighborhood bounded by 6th Street to the South, Alton Road to the West, Collins Canal to the north and the Atlantic Ocean to the east has a unique atmosphere. Try to stay in the art Deco District in the weekend. Especially on a Friday or Saturday night there is a lot of clubbing and people having fun. Fancy cars driving up and down on sunset boulevard. The best time for photography is during blue hour.